We are proud to present our 2017 Annual Report "Access For All"
You can read our Report online or request that one be mailed to you by emailing mail@drny.org . 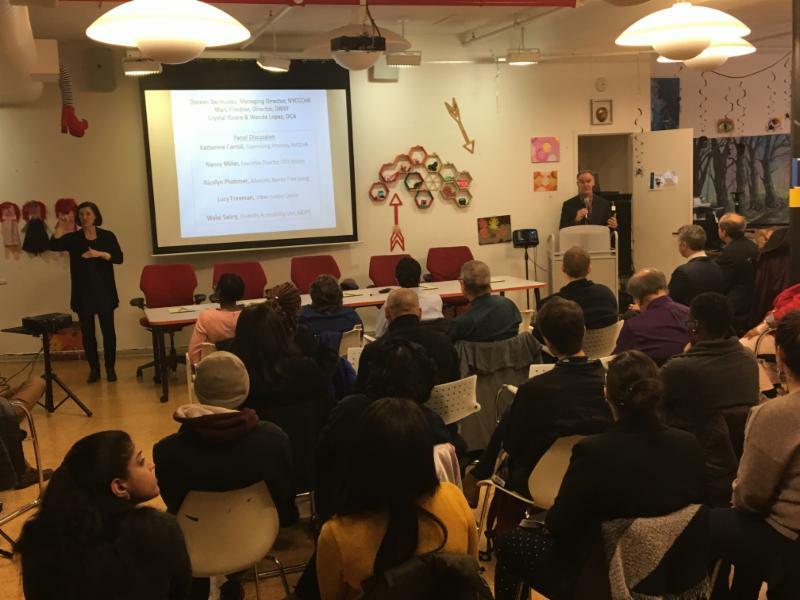 DRNY, The NYC Mayors Office for People with Disabilities & The Commission on Human Rights hosted a symposium in Brooklyn, NY focused on creating discrimination free and accessible communities. 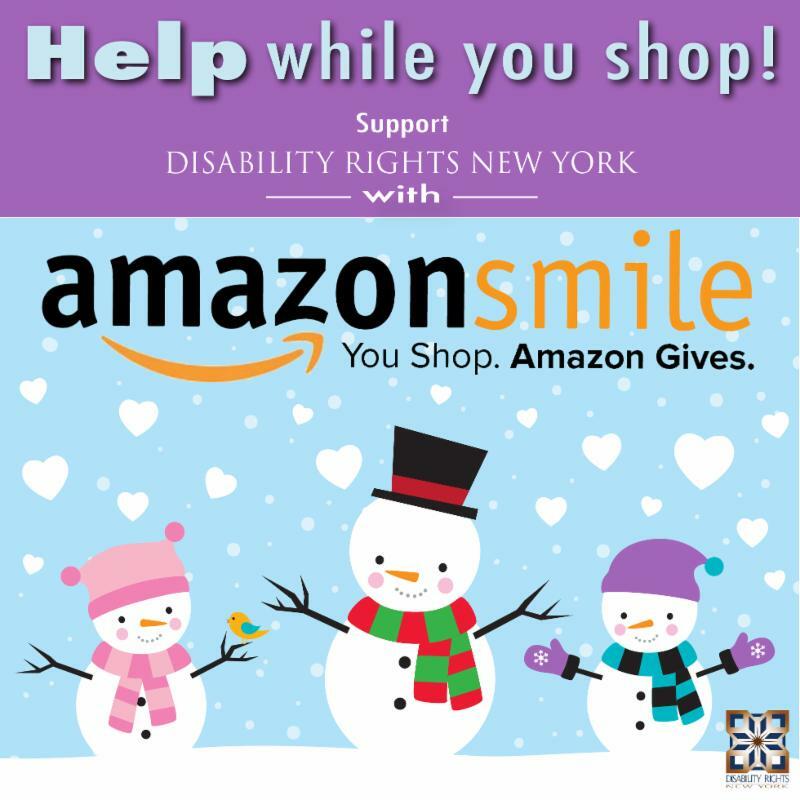 The NYS Disabilities Association and Network (NYS DAAN) is conducting a community-wide needs and gaps survey as part of a research study funded by the Developmental Disabilities Planning Council ( DDPC). The study will be used to develop a statewide strategic plan on the Prevention of Abuse and Neglect of People with Developmental Disabilities. All survey respondents are expected to be over 21 and live in NYS. Accommodations are available upon request (e.g. responses taken by phone, paper surveys). All surveys are anonymous, and responses are encrypted for additional safety. The survey can be completed partially or in phases over time and submitted when completed. The same computer can be used for more than 1 survey to allow multiple participants at community-based sites and libraries. The survey is designed to be inclusive to all segments of our statewide community. 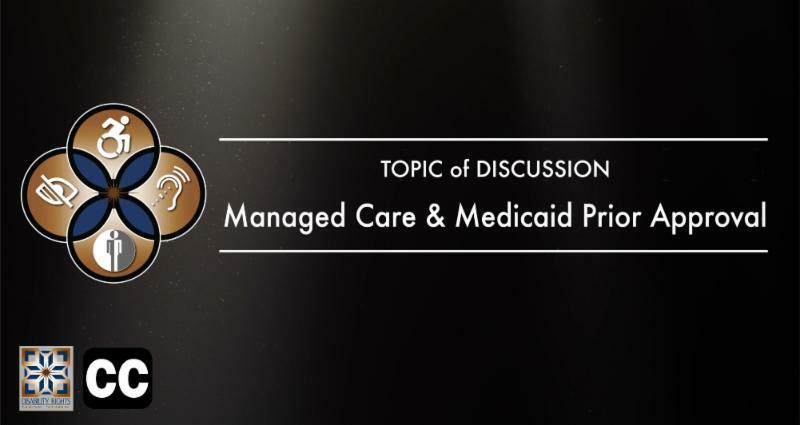 There are many opportunities for respondents to contribute additional information or ideas in addition to what is covered in the questions. The survey will remain open until December 28, 2018. 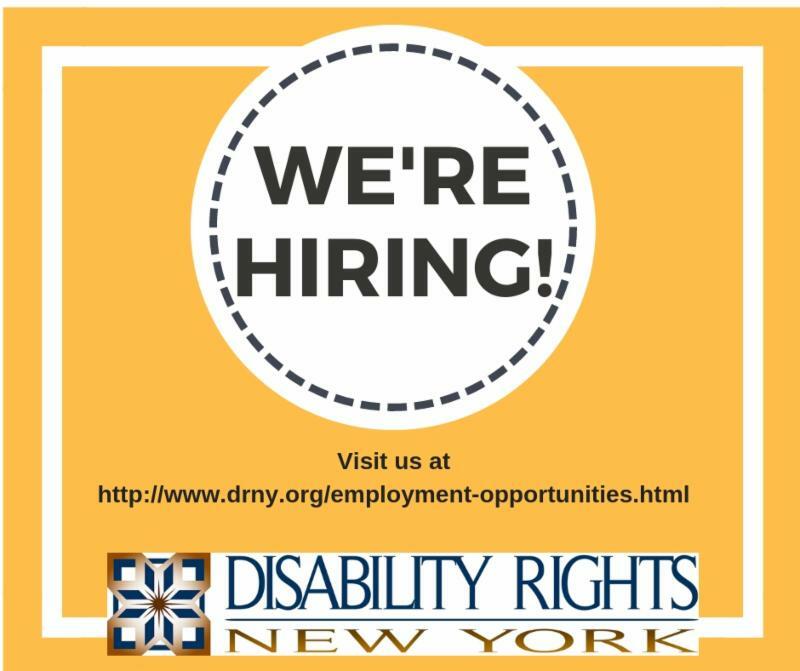 We are currently seeking advocates, interns, and more. 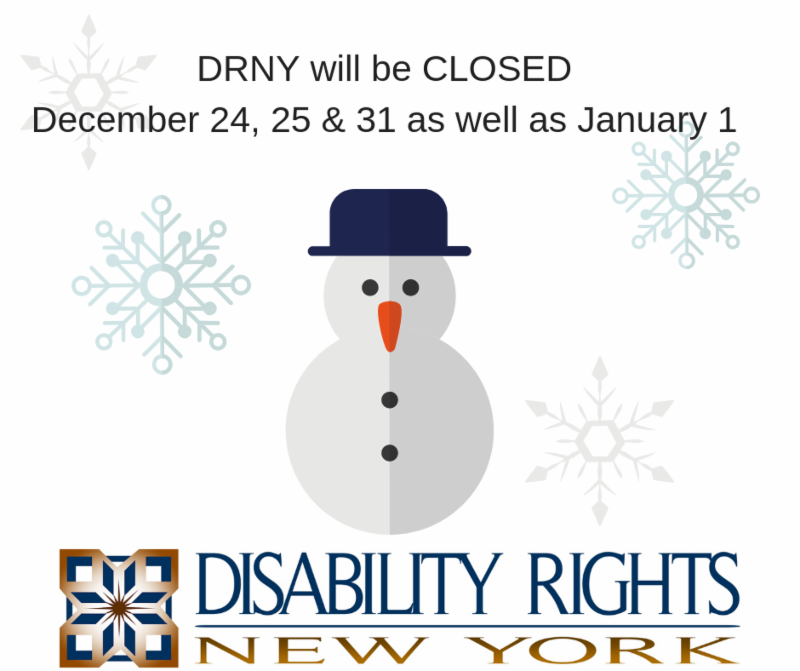 Please refer them to DRNY’s employment opportunities page for our open positions.